Summer has a way of bringing out the little girl in me. It brings me back to memories of climbing trees. cherry picking and licking popsicles or slurpies. We live very close to two very good ice cream parlors and inevitably my kids ask for ice cream almost on a daily basis when we pass by. If I gave in as often as they ask I would be a lot poorer and also a lot unhealthier. 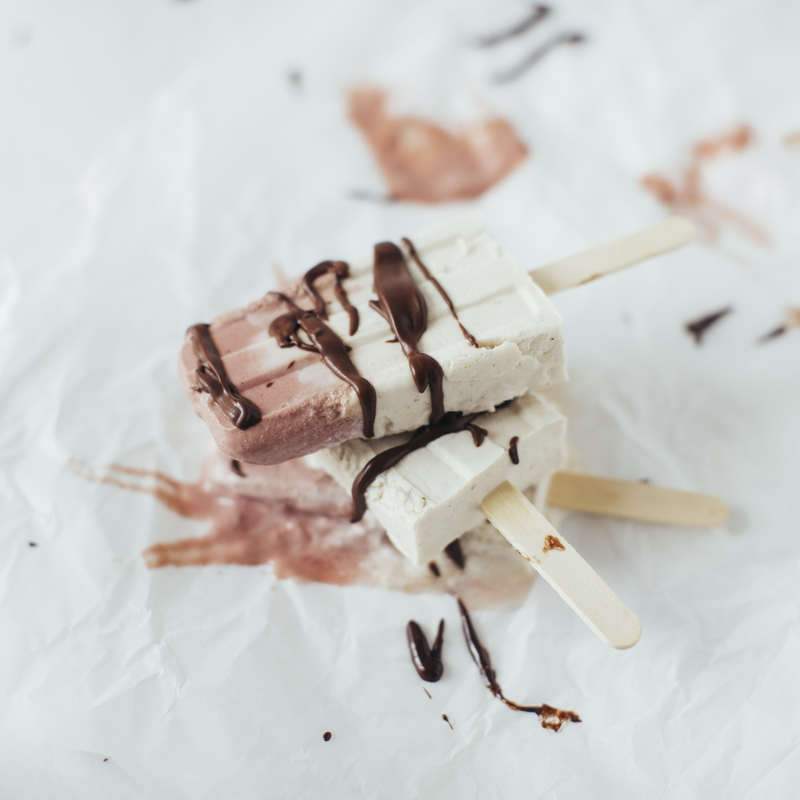 Regardless of how well ice cream is made it is a sugar bomb and a calorie bomb as well. I truly believe in making space in life for sweet treats but not daily and mostly I make things on my own and revamped and healthier versions. 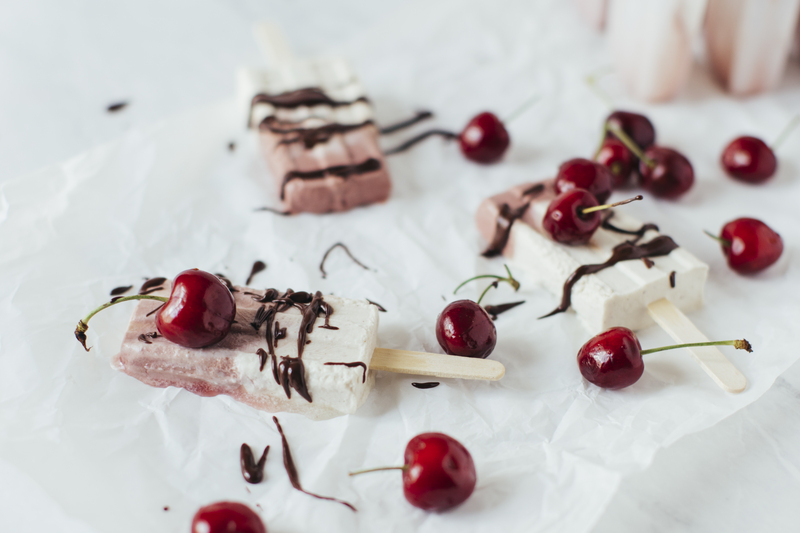 So, when I want to surprise my kids I make them popsicles using mainly fruit and yoghurt and if I want to make something more indulgent I make popsicles like these inspired by a black forest cake. Vanilla, chocolate and cherry are a killer combination and in my mind they can be made in just about any vehicle. Cake, muffin, ice cream, pudding, parfait and the list goes on. 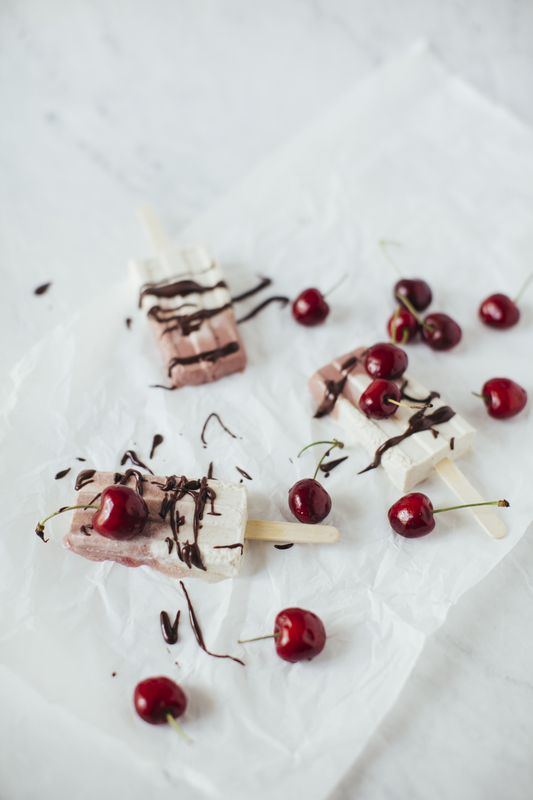 These are sweet enough that they can be enjoyed as a dessert or on a hot day as a mid-afternoon snack to cool off. 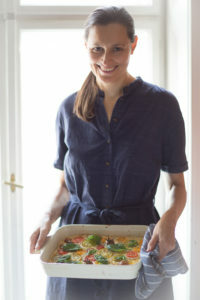 This recipe is the second part of my brand session with Peppa Georgieff. The first part you can see here. 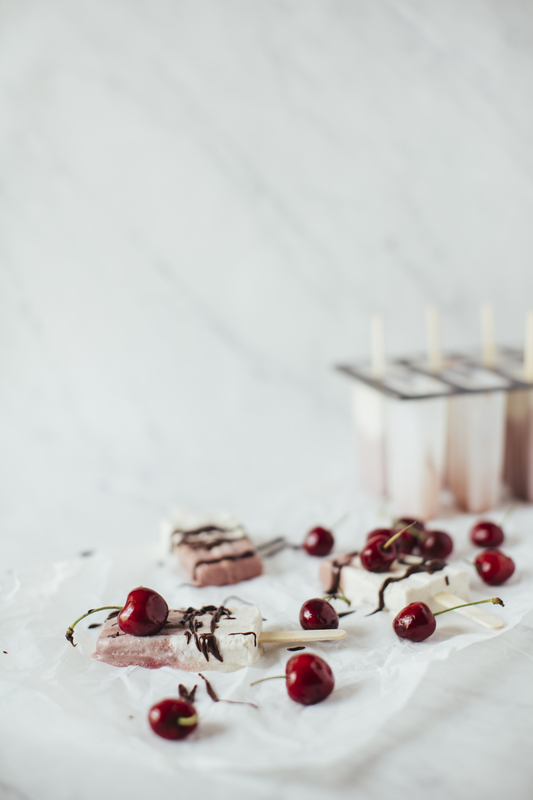 It was my first time making popsicles for a shoot and it was a very hot day, so the popsicles melted pretty quickly. In the future I have to keep that in mind. Nevertheless we managed to capture the process and were rewarded with delicious popsicles. In general I would say that food that is prepared to be photographed also tastes better than usual. 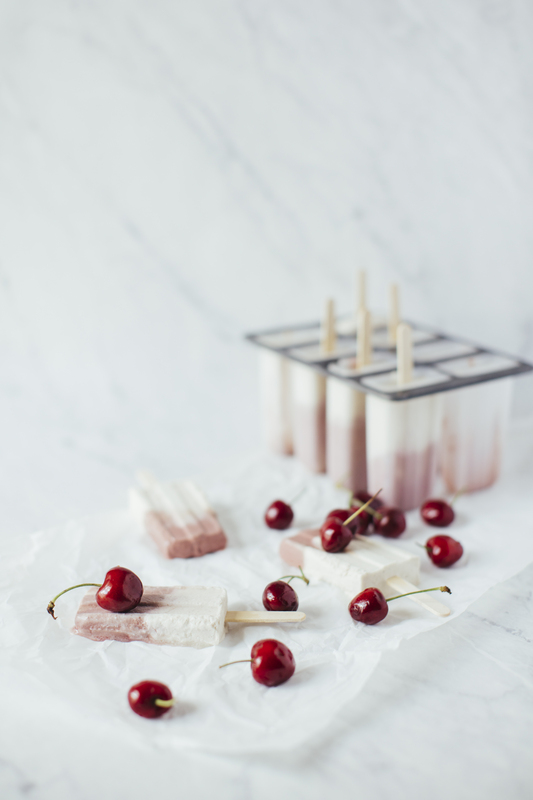 For these popsicles you’re going to need a few simple ingredients and some popsicle moulds. These are the ones I have which include popsicle sticks as well. Alternatively you could use little cups or glasses and use spoons instead of sticks if you want to avoid waste. I know some people try to cut out on kitchen gadgets but I have made good use of them and I use them quite a lot especially in the summer time. 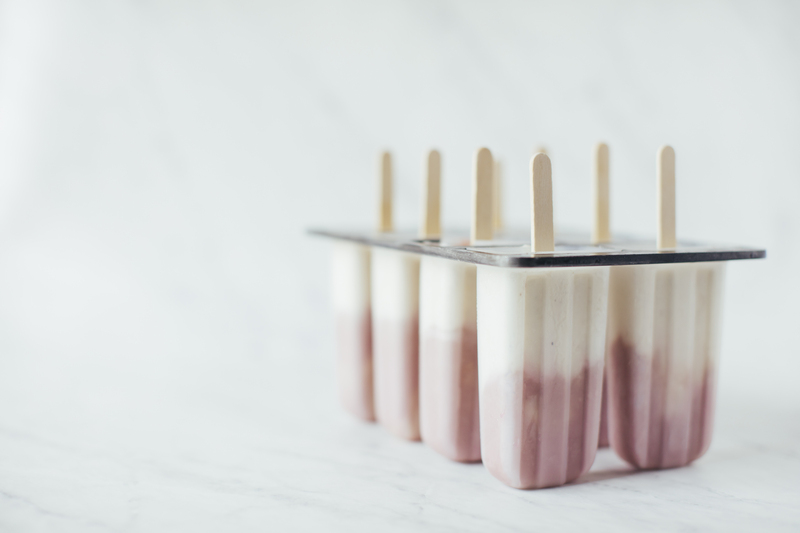 If you want a recipe free version of popsicles just combine a few or just one of your favorite fruits and some liquid such as milk, yogurt, blend it together and fill into your mould. You could also experiment with different toppings such as melted chocolate and crunchy things like granola or nuts. Have fun and get creative. Drain and rinse the soaked cashews and add them to a high-speed blender with the maple syrup, vanilla powder, coconut yogurt, coconut oil and water and blend for up to 2 minutes or until completely smooth. Transfer into a bowl keeping about a third in the blender. Add the cherries to the blender and blend until smooth, about 2 minutes. Fill the bottoms of the moulds with the cherry mixture. 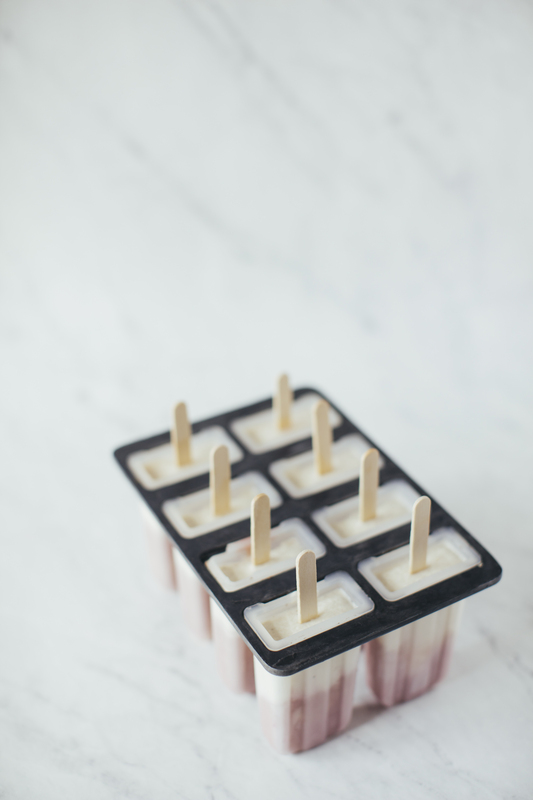 Place the moulds in the freezer for about 5 minutes. Remove the moulds from the freezer and pour in the remaining mixture to the moulds. Freeze for 4 hours or until completely frozen. Remove from the freezer and leave them on the counter. In the meantime melt the chocolate in a bain marie with the milk. 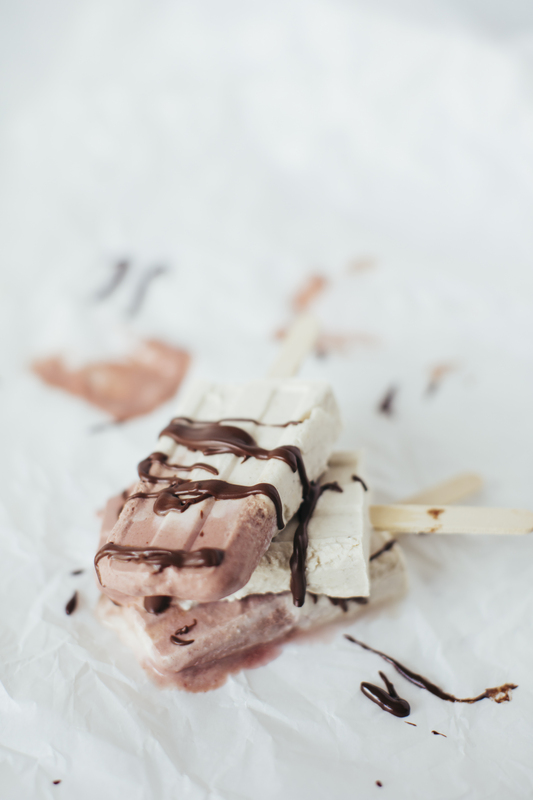 Remove the moulds onto a piece of parchment paper and line the popsicles on the paper and drizzle the chocolate onto the popsicles. Place in the freezer for 5 minutes until the chocolate is set. 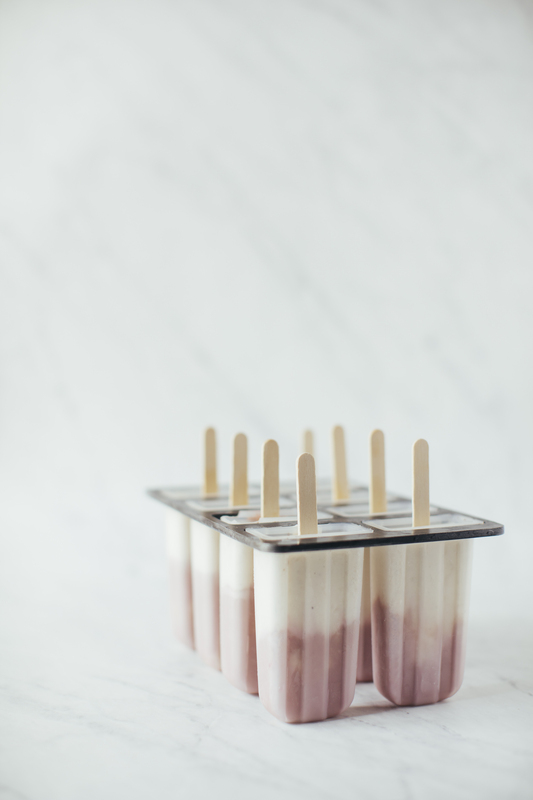 Enjoy the popsicles immediately or save for another time.